New iMac models were referenced in last week’s OS X Mavericks software update and now similar code in OS X Yosemite reinforces it: Apple(s aapl) is readying its software for higher resolution iMacs. The company’s current desktop computers don’t offer the pixel density of other Apple retina display products, but that’s likely to change with the next hardware refresh. The code snippet in the now available OS X Mavericks 10.9.3 software update only hinted at new iMac models. There was no additional information beyond three new iMacs, one with integrated graphics and two having an added discrete graphics chip. 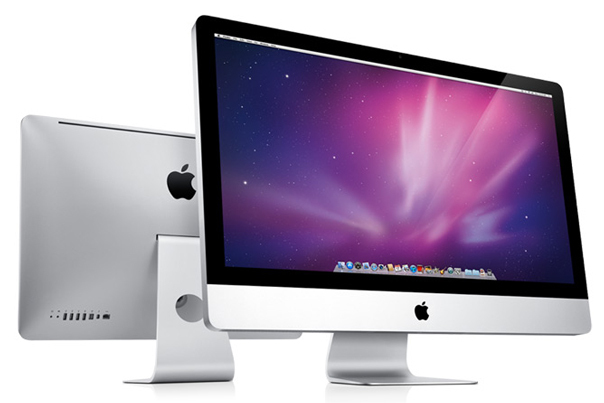 As 9to5Mac points out, OS X Yosemite adds more information suggesting higher resolution iMacs are planned. The first of these resolutions indicates in hex ‘00001900 00000e10’, hence a resolution scaling of… 6400 x 3600 (probably a 3200 x 1800 HiDPI). I’m leery of such super high-resolution figures given that 4K monitors are generally 3840 x 2160 — which is double the vertical and horizontal pixels for 1080p — but I have confirmed that the files MacBidouille reported do indeed exist in OS X Yosemite. There’s little doubt now that if Apple can manage the costs and production of retina display iMacs, such devices will appear on the market. When might that be? Only Apple knows, but if OS X Yosemite arrives in the fall, I’d expect higher resolution iMac hardware to launch alongside the software. I’m left wondering, though: If Apple does create iMacs with higher than 4K native resolution, might it bump the size of the iMac as well? I like my 27-inch iMac, but with all the extra pixels Apple could put into the display to run OS X, I wouldn’t mind seeing a 30-inch model. if there is retina display iMac or sight of it, that means apple is capable of producing any screen of up to at least 21-27 inches. That means Apple should also make 17-inch macbook pro with retina as well because that is also in demand by professional mobile laptop users.